Welcome! 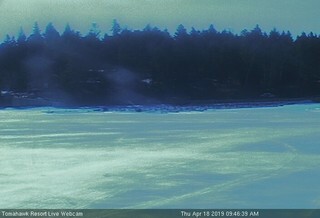 Sit back, relax and enjoy this photographic tour of our resort area on Lake of the Woods at Sioux Narrows, Ontario. 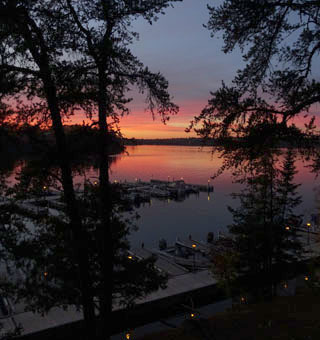 Located in this wilderness vacation paradise, Tomahawk is a full-service lakeside resort with something for everyone. Whether you want to get away from it all on a fully-equipped houseboat or simply move right in to a comfortable cottage, your vacation will be worry free. 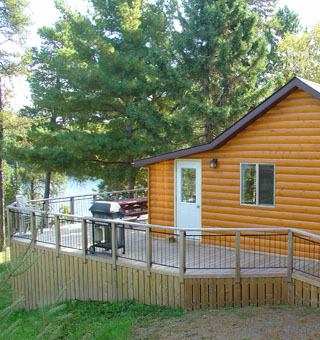 Fishing, hiking, swimming, or relaxing in the peaceful setting of North America's most beautiful scenery, Tomahawk Resort provides all of the ingredients for a truly memorable adventure. 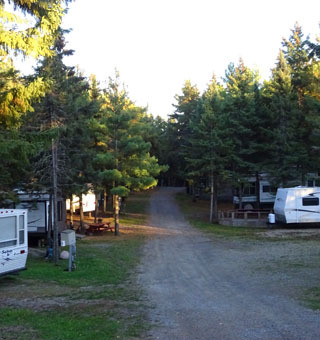 The Kast Family has been welcoming guests to Tomahawk Resort since 1946. And, while lots has changed over the decades, our dedication to quality vacations hasn't. Our family and staff carry on a tradition of hospitality that spans three generations and we look forward to serving you on your next vacation! Lake of the Woods has provided some of the best fishing grounds in the world for decades and is renowned as a sports fisherman's paradise. 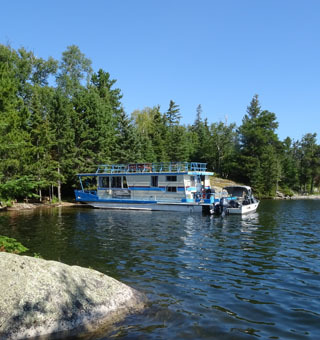 Tomahawk Resort rests peacefully on the shores of this massive shimmering pond while under the cool surface lurk Walleye, Northern Pike, Bass, Muskie, Lake Trout, and Crappie. Complete fishing packages, including fully-equipped fishing boats are available at Tomahawk Resort or bring your own boat and we'll tell you where the hot spots are. 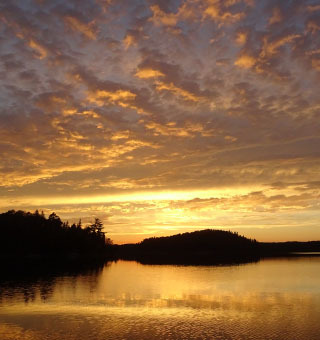 Come to Tomahawk and share the Lake's natural abundance. 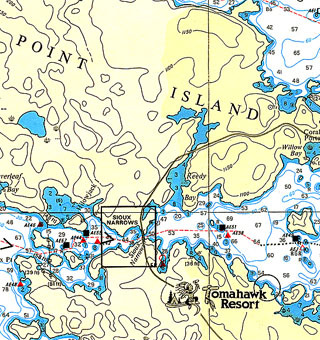 Check out our map of our portion of Lake of the Woods to help give you a better idea of the terrain, water depths, and lake-bottom structures around Tomahawk Resort. Here the Radar Weather For Sioux Narrows. We are also on Facebook. You can follow us there for videos, photos, events, and discussions in addition to following the updates and postings on our Tomahawk bulletin board.